From Pete Merolo's astounding collection comes this never-seen-before 7'' x 9'' Mary Blair Concept painting of Alice and the March Hare at the Tea Party. Here is the cover of the Serbian magazine Mika Mis number 95. 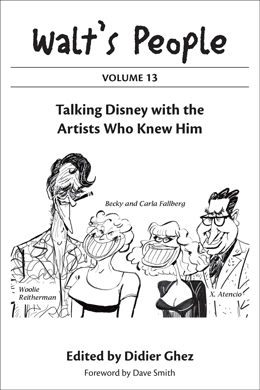 [The magazine was created in the Communications department at WDI, since the Imagineer population had increased so much (a lot of "newbies"), and had spread all over the world. The idea was to create a communication that educated, updated, and helped bind the culture together. The art, writing, and photography were pretty much all in-house and volunteer, and we had meetings to solicit ideas, contributions, and content. Betsy Richman was in charge of the thing, I was the editor of issues One through Eight (I moved over to a new job at the Studio after that). I also wrote a large chunk of the content. 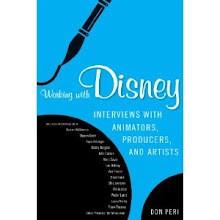 Gino De Young in the WDI Graphics Department designed and produced the first five issues, it then got to be too much for him to keep sacrificing every evening and weekend for free to do it, so an outside firm began to do the design. It went away for a while, cam back with a whole new creative team, mission, and form, then went away again. 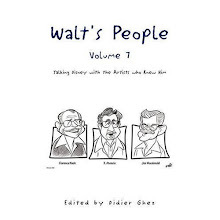 Found in an interview of Hazel George by Bob Thomas I am currently working on for Walt's People - Volume 10. We all know that The E-Ticket and Tales from the Laughing Place are the two best resources for information about the parks and their creation. The two best sources outside of internal Disney publications that is. Among those internal publications the one that I have always found the most fascinating is the newsletter from Walt Disney Imagineering, WD Eye. I am trying to learn more about this newsletter. It seems to have had two different "seasons": one from about 1989 to about 1994 and one from mid-1996 to 1998. Here are the issues I know exist. Do you know if there were others? When did the magazine start getting published and when did it stop? And here is the cover of the Serbian Mika Mis number 94. - Joe Grant and Hero Worship posted by Michael Barrier on January 29, 2008. By the way, in that last post we learn that Don Hahn is working on a film that will pay tribute to Joe Grant. Knowing that John Canemaker is currently working on a book about Joe Grant and Joe Ranft, we can look forward to an in-depth exploration of Grant's career this year or next. I have just received yesterday more covers from the pre-WWII Serbian magazine Mika Mis. Here is the first of this new series of 8 covers. [Just as a heads up: not sure if you listen to any of the Disney Podcasts that are out there, but the MouseLounge Podcast has had two back to back shows with some great Walt Content. 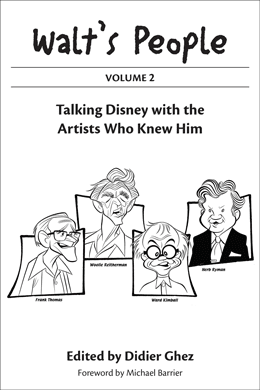 Gary Chambers is the host and as near as I can figure it he gets his clips from the Disney Family Museum. He use relative tracks to what he is trying to discuss. This week we heard Walt talking a number of different ways about getting cash for his endevours. A very good listen. Show 29 had Walt speaking about his South American trip. [Purchase an authentic Disney military insignia emblem for less than six dollars (here). "BATTLIN' PETE" Walt Disney Merchant Marine EmblemThe military service patch of the United States Merchant Marine was created by the Walt Disney Studios in Burbank, California in July 1944. The Walt Disney Studios had become world renowned for their designs for military units of the United States Armed Forces. On July 5, 1944, The United Seamen's Service, Inc. of Los Angeles, California, requested the Walt Disney studios to produce a patch for the Merchant Marine. An exhibition of wartime art of merchant seamen of the United Nations was scheduled at the Los Angeles County Museum from July 16 to August 13, 1944. In connection with this exhibition, The United Seamen's Service, Inc. wanted to display this new Merchant Marine patch art at a public ceremony on Sunday, July 23, 1944. True to his commitment to the Armed Services, Mr. Walt Disney directed his artists to create a patch for the United States Merchant Marine, recognizing their efforts in the conduct of World War II. Using one of their colorful characters, Battlin' Pete, the patch was created showing Pete knocking out a humanized torpedo. The finished artwork was mailed on July 14, 1944. The "Walt Disney Merchant Marine Emblem" image of Battlin' Pete was done by Hank Porter, who was the head of the WW II insignia unit at Disney Studios. The patch was produced in a 5" diameter size, different from the many shoulder patches created for the other armed forces units, which were usually 2 1/2" in diameter. The Merchant Marine patch was usually worn on the front of jackets or blouses. The United States Merchant Marine now had the distinction of its own Walt Disney Service Patch. At the same time, the official Merchant Marine service song was written at the United States Maritime Service Training Center, Sheepshead Bay, New York. The song, Heave Ho, was written by Jack Lawrence, one of the musicians in the base band. The song ends, "We can cross any ocean, sail any river, give us the goods and we'll deliver, damn the submarine, we're the men of the Merchant Marine. "The Walt Disney service patch and the Merchant Marine service song help tell part of the story of life at sea, the merchant marine defying the elements, and the actions of the enemy. Both remain a part of our country's proud military past and a memory of a merchant marine fleet that will never be seen again. 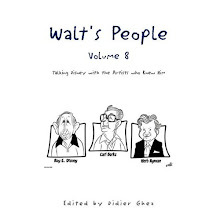 I received this morning the cover proof of Walt's People - Volume 6. Still about 7 weeks until its official release but I am always excited when those proofs start coming my way. Jim Korkis stumbled upon those great pieces of art created by Ward Kimball and currently on sale on ebay through Howard Lowery. We had to share those with you. 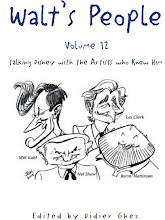 The long-awaited book about Maurice Noble, Stepping into the Picture: Cartoon Designer Maurice Noble seems to have started shipping on Amazon based on my "Amazon Associates" report from yesterday. Whenever one of you gets it, I would be very excited to hear your thoughts about it. I have really been looking forward to that one as it seems to be a book that started as an attempt by Maurice Noble at writting his autobiography. From Michael Barrier comes this article published in Reader's Digest in February 1969 and written by Roy Disney. I had never seen the poster of the Silly Symphony Cannibal Capers before. I just discovered it on ebay today. What is very unclear from the description is whether this is a photostat or the original art. If this is actually the original art (not impossible as it seems to come from the estate of Burt Gillett), then it is a stunning piece which is totally undervalued at the moment (and I mean totally undervalued). - Where Walt Was: Honolulu, August 1934 (January 21, 2008) and More on Walt in Hawaii (January 22, 2008) by Michael Barrier. Great piece of research. The blog will not be updated on Tuesday. See you on Wednesday. The cover of the book The Pixar Touch: The Making of a Company has just been released on Amazon. As I already mentioned: Can't wait. Anyone travelling to Tokyo in the near future? 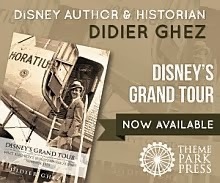 I would love to get this book about Tokyo DisneySea that I just discovered through a reader of the blog. By the way, I am still trying to get a copy of the Japanese history of Tokyo Disneyland: Tokyo Disuniirando no shinso (The True Story of Tokyo Disneyland) by Kano Yasuhisa, published in 1986 by Kindaiban geisha. As promised, here is the second part of the article I started posting last week. [I totally subscribe to your admiration for Hans Bacher's work and his book is definitely a must. I had had the privilege to have a look at a big collection of his preliminary inspirational sketches and paintings. I had then the idea to publish a book about his work because I couldn't resign myself to think such masterpieces couldn't be seen by more people. I have always thought that the best work about "Beauty and the Beast" or "Aladdin" or even "Mulan" was his, long before the features were carried out. Hans Bacher is a clever, tactful and dedicated draftsman, who knows everything about colour and style. He may highlight his masters and role models' work like Cy Young's, Hans is clearly on a par with them, but he is too humble to even venture to think so himself. I will always remember the moment I could look at all these paintings, although they were (good) xeroxes and do wish I had been able to write that book about him. But a highlight was also meeting him just as Mulan was coming out in the USA. I understand why Andreas Deja gets along so well with him, and their German childhoods don't explain everything: they both have such subtlety, finesse. Thanks to Tim Susanin, here are the first three pages of the article Growing Pains published in the magazine American Cinematographer in March, 1941. I will post the rest on Monday. Are Myklebust was kind enough to send me this excellent article the magazine Better Homes and Gardens published in January 1940. I thought you might enjoy it. I received quite a few books that I was awaiting this week. The best surprise among them was Hans Bacher's Dreamworlds. I knew it had a good chance to be good, but I never realized it would be that good! 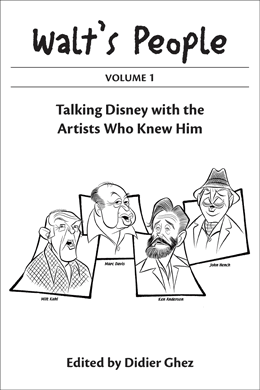 I was afraid it might be a book purely aimed at professional artists. It isn't. 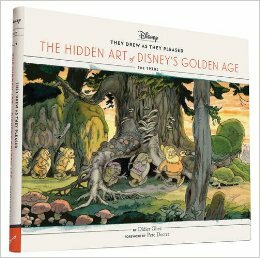 If you are interested in the history of the Disney Studio during the last 20 years, if you love concept art, and if you want to discover concept paintings from quite a few of the discarded projects Hans worked on at Disney just before he left, like My People, Wild Life or Fraidy Cat, get this book now. 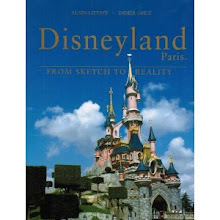 This is a "must-have" and a "must-read" (there is also beautiful art from Beauty and the Beast, Mulan,...). 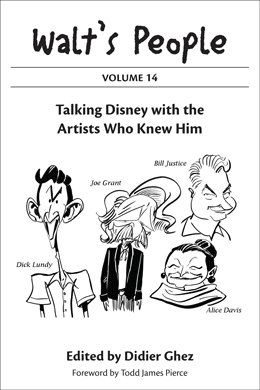 More interesting artwork in this book that in a few "art-ofs" released by Disney recently. [I can't tell you who produced the dolls, since neither of the pictures I have offers up a credit for them. What's interesting to note, however, is that the dolls are probablyarticulated to some degree, as evidenced by the different positions of Tweedle Dee and Tweedle Dum's heads/arms. The least I can do is give you a better version of the picture you have aswell as the one that appeared in the NY Sunday News Magazine. The reason I am so interested in those dolls is that I suspect they might have been produced by the Italian company Lars about which I am trying to write an article for Tomart's Disneyana Update. Did I say "Lars"? That company remains a mystery and I have started developing a new theory about it. Here is a note I posted on a blog two weeks ago and that did not get any answer. I was wondering if one of the readers of this blog could help. [I need your help. I write articles about Vintage Disneyana for the US magazine Tomart's Disneyana Update. I have been researching for several years some fascinating Disney dolls that are credited in all Disney reference books to a mysterious Italian company supposedly called Lars. I have never been able to find any information about Lars and the felt dolls look suspiciously like some that might have been produced by another Italian company... Lenci! This weekend I stumbled upon a piece of information that might explain everything. It looks as if Lenci changed its named to Ars Lenci at some point. Depending on the way this was printed on the label, some people might have misinterpreted it and read Lars instead of Ars Lenci. - The dolls credited to Lars are of much better quality and much more "on-model" than the Disney dolls released by Lenci in the 60s and that appear in one of the catalogs your feature on the site. Would you have a catalog that would help me find out if those better quality dolls were released in the '40s, '50s or '70s? - You mention several books about Lenci: do you know if one of them features Disney dolls that might be relevant to my quest? Yesterday I posted a photo of the Sound-Effects Department. 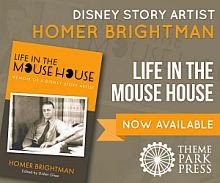 Here is a story told by Jim Macdonald that will appear in Walt's People - Volume 7. I was reviewing an old auction catalog yesterday when I stumbled upon this small photo of Kathryn Beaumont, the voice of Alice. In this specific case, however, my interest does not focus on Kathryn but on the plush dolls that surround her. Would any of you know who created those?